Hardcover, 9.5 x 12 in. / 320 pgs / 520 color. Kathy Halbreich is Associate Director at The Museum of Modern Art. Mark Godfrey is Senior Curator of International Art (Europe and Americas) at Tate Modern in London. Lanka Tattersall is Assistant Curator at the Museum of Contemporary Art, Los Angeles. Magnus Schaefer is a Curatorial Assistant in the Department of Drawings and Prints at The Museum of Modern Art, New York. Paul Chan is an American artist, writer and founder of the art and ebook publishing company Badlands Unlimited, based in New York City. Christophe Cherix is The Robert Lehman Foundation Chief Curator of Drawings and Prints at The Museum of Modern Art. Tacita Dean is an English filmmaker and visual artist. Barbara Engelbach is a curator at the Museum Ludwig, Cologne. Stefan Gronert is a curator of the graphics collection at the Kunstmuseum and teaches art history at the University of Bonn, specializing in photography. Rachel Jans is Assistant Curator at The San Francisco Museum of Modern Art. 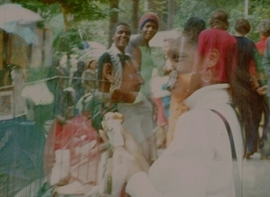 "In Search of Bohr-mann/Brasil and Its Consequences" (1975/76) 16mm film transferred to video (color, sound), 38 mins. Private Collection. Reproduced from Sigmar Polke: Alibis. Has any artist of the last fifty years more successfully combined relentless material innovation, slyly subtle wit, and voracious cultural rummaging than Sigmar Polke? 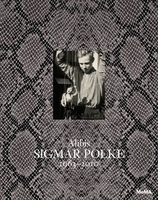 One of the towering figures of postwar art, Polke (1941-2010) is feted here in a major restrospective, spanning nearly five decades of his prodigious output—from his days as cofounder of Capitalist Realism (along with Gerhard Richter and Konrad Leug) until his death three and a half years ago. A shape-shifter of styles and mediums, Poke created work that was a delirious melange of Pop Art and painterly Expressionism. 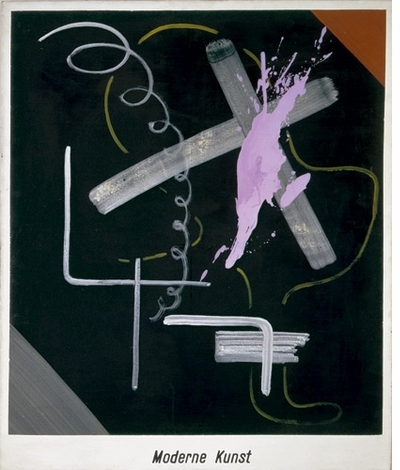 Germany produced at least one comic genius in the 20th century, as MoMA's Sigmar Polke retrospective demonstrates. 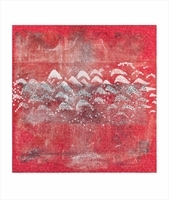 ...one of postwar Germany's most important artists. His paintings...re-enchant the world of images and the possibilities of picture-making. 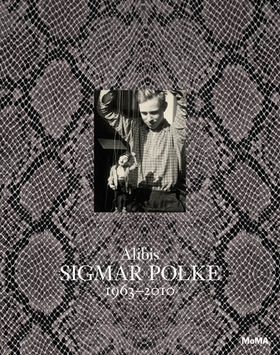 "Alibis: Sigmar Polke 1963-2010,” a wondrous retrospective of the late German artist’s work at the Museum of Modern Art, is the most dramatic museum show of the century to date. It may also be the most important, if its lessons for contemporary art, both aesthetic and ethical, are properly absorbed. 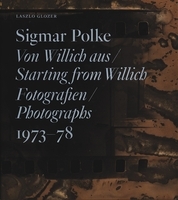 In the book's lead essay, curator Kathy Halbreich proposes that Polke studiosly avoided any signature style or medium "so that his easthetic method...enacted the role of an alibi"... And Polke's work is self-evidently open, experimental, and reveling in possibility. 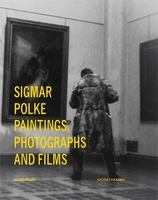 The catalogue of the current retrospective, "Alibis: Sigmar Polke, 1963-2010," mounted by the Museum of Modern Art in New York and the Tate Modern in London, includes numerous scholarly essays by art historians and curators along with illuminating appreciations by artists. It seems that once the artist was no longer around to refuse to answer questions or guard his privacy, his audience was granted permission to dig into his history, to turn over every rock, or, to use an especially Polkian metaphor, to go hunting for the mushroom that will provide magical revelations. The Museum of Modern Art has now brought together, in one of the largest shows it has assembled, the most complete overview of Polke's art that any museum has attempted. It is a remarkable and challenging event. Polke was funnier, brainier, and more ferocious in his need to experiment than, it can seem, many artists are... The present show, organized by Kathy Halbreich, who began working with the artist on it in 2008 (and has contributed a probing and sensitive essay in the catalog), underscores the multifariousness of Polke's art by presenting aspects of seemingly everything he did. Polke (1941-2010) is feted here in a major retrospective, spanning nearly five decades of his prodigious output- from his days as cofounder of Capitalist Realism (along with Gerhard Richter and Konrad Lueg) until his death three years ago. Surelly on of the towering figures of postwar art, Polke (1941- 2010) is feted here in a major retrospective, spanning nearly five decades of his prodigious output from his days as cofounder of Capitalist Realism (along with Gerhard Richter and Konrad Lueg) until his death three years ago. 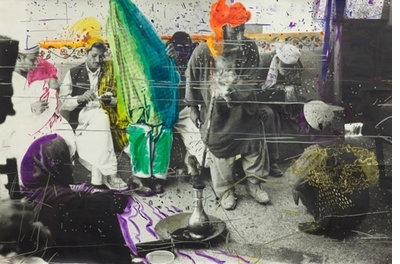 This year's Sigmar Polke retrospective at the Museum of Modern Art, the first full-scale evaluative look at this German artist since his death in 2010, was one of the outstanding solo shows of the year. The catalog is fully up to the occasion, a fitting souvenir of an artist who, in our era of look-at-me objects and brand-name painting, stayed mercurial, slippery, slef-mocking and signature-free. With the market being the luxe-item operation it is, you can easily imagine Polke's recessive reputation going into temporary eclipse. So grab the book now. It's a keeper. FORMAT: Hbk, 9.5 x 12 in. / 320 pgs / 520 color.